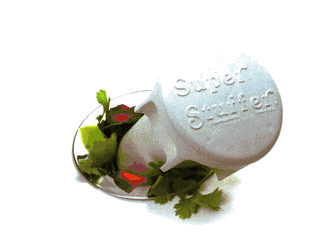 The Norpro Super Stuffer safely pushes garbage and kitchen waste into your garbage disposal. Store the Super Stuffer in your sink drain to keep utensils and small objects from falling into your garbage disposal. This garbage disposal stuffer is easy, safe, and handy to use! Norpro.